Ah, New York City. You’ve made it! Even if only for a weekend. As you read our guide, keep in mind that although we have enough recs to heavily stack your stay with activities, NYC is best enjoyed in small doses. Pace yourself to what feels doable, OR, do it BIG style. You will definitely want to cab into Manhattan. From LGA, the fare will be between $35-45, and from JFK, slightly higher. For your return on Sunday, I’d suggest grabbing a seat on one of the city buses that only stop at the airports and are usually stationed between Port Authority and Penn Station ($12-15). It helps if you’re hailing in the direction you want to go, and you should also be mindful of where you are on the street to make it safe & easy to get into the cab. Shift changes are usually on the 4th hour & 7th hour, meaning that even if a cabbie had his lights on for service, he might not pick you up. Curb: An app we suggest downloading. It will hail you a cab with an estimated wait time, or you can log-in after you self hail for no-hassle payment. If this is too much to remember, simply stand on the sidewalk edge and throw your arm up! You’ll get one… eventually. Public transit is likely going to be the fastest and cheapest way to get to any destination. Pack a subway map before you come. Most people refer to the subway as “the train”, and vary between using the letter/number naming convention, or color coding. When in doubt, BYOB! There are plenty of awesome restaurants that allow it, which give you free range over your drink(s) of choice. Most of Manhattan is a grid. Below 14th street, you are off the grid. Use the Empire State building as a reference for North. The subway stations are on both sides of the street. In most cases, Uptown stations are on the East side and Downtown stations are on the West side. Beware of “express” trains. They bypass several local stops and often cost you a chunk of time if you go the wrong way. If you’re not sure, ask someone. Despite what people say, New Yorkers are really friendly. 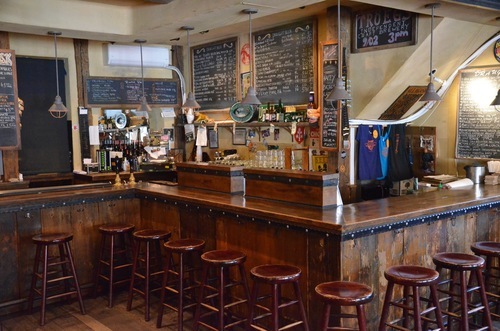 Just down the street from JWF, literally around the corner from the historic Bowery Ballroom, is one of Manhattan’s best kept secret beer bars, in One Mile House. 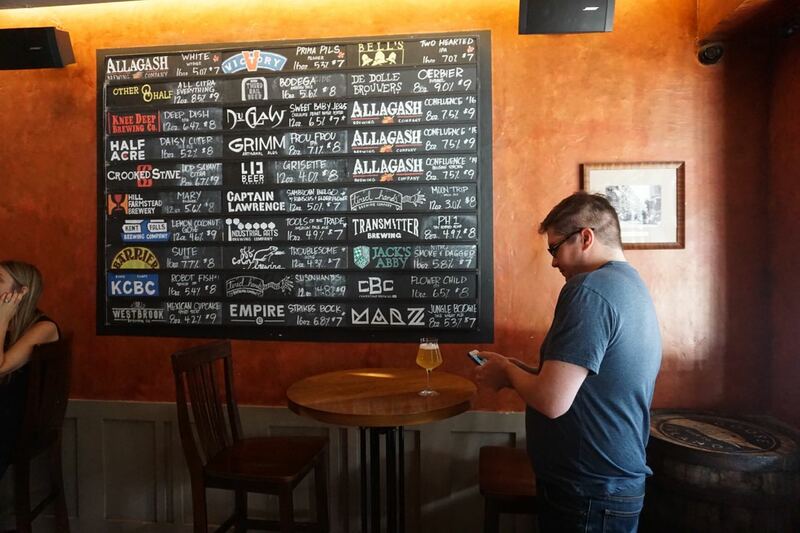 With a formidable 30 tap rotating wall, featuring brewery logos that are all hand-drawn by chalk, One Mile House boasts one of the more impressive collections of beers in the entire city. From Hill Farmstead to Crooked Stave, Allagash and Westbrook to Tired Hands, Barrier, Half Acre and Marz. Meanwhile be sure to refuel with some poutine. You might still be full from your afternoon meal. You might have already had another #nycfoodie Instagram moment. Either way, you’re likely going to crash soon. So, to keep you fully invigorated as well as satiated, you should end your night at the Blind Tiger. This ale house is a staple in the city with a serious reputation for being one of — if not the best — craft beer bars in New York. 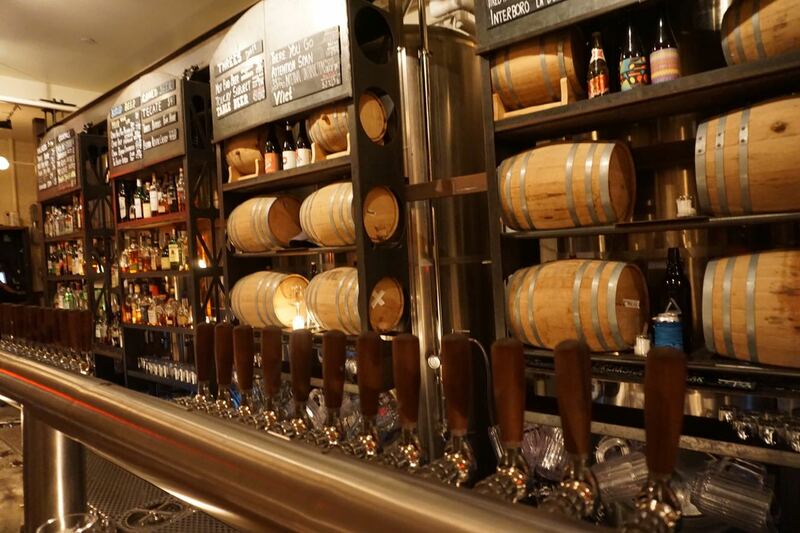 Their draught list changes on the d-a-i-l-y which already competes with an extensive bottle list that features casks, sours, bottle-aged, ciders, and vintage brews. The space is small, but in a where-everybody-knows-your-name kind of way. If you’re lucky, you might even find yourself swigging down the ever elusive Grimm Artisanal Ales. 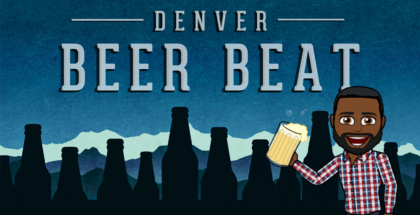 A speakeasy, a goldmine for craft beer and a curated craft experience. Take your pick! We’re sure you’ve heard about Please Don’t Tell, one of NYC’s hidden prohibition-era style bars that lives in the back of an East Village staple called Crif Dogs. This experience couples a swanky environment with custom cocktails and an ordering system for signature deep-fried dogs. Talk about having it all! Within walking distance is Fools Gold, but be fooled not. 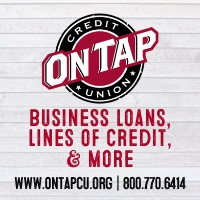 Step inside to an industrial-style staging with temperature-controlled tap setup. Choose from a round-up of about 30 craft beers or indulge yourself with their extensive list of whiskey. Top Hops is like a secret weapon. Locals bring their friends here for a higher-level approach to drinking craft beer to up their street cred. Most of the furniture is for shelving a wide but rare variety of beer to drink-in or take-out. 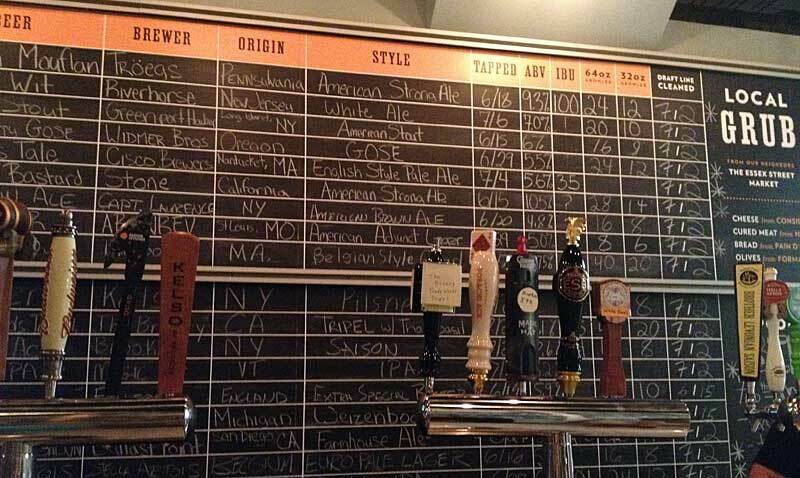 A massive chalkboard houses the droughts for the night, which make it easy to mix-and-match for a custom flight that the barkeep will help you to curate. Ask and thou shall receive. If your jet lag is keeping you up and the craft beer bars aren’t lighting your fire, we’re sending you to The Box. Think of this as a New York iteration of The Moulin Rouge. Just trust us. Getting up early here is the key. As they say, NYC never sleeps! Start your day with a Central Park stroll and early morning picnic. You can enter the park from multiple locations, but we suggest starting on the west side around 69th street. From here, you can easily access Sheep Meadow, a common lawn space for lounging, games, what have you. Assuming you’re going to try to book some time to hipster-watch in Brooklyn, here are a couple must-stop places around Williamsburg. If you are visiting outside of the winter months, you’re lucky! Brooklyn’s Smorgasburg has become a destination for locals and tourists alike. Check it out for top-of-the-line eats, local brewery stands, views of Manhattan and treasure hunting. 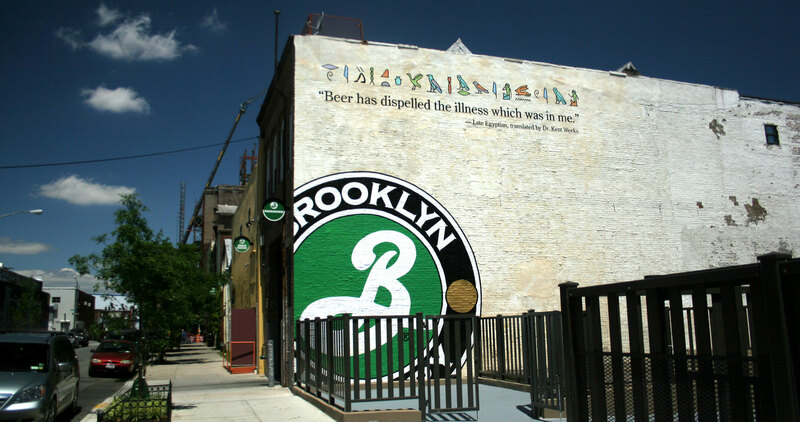 It’s hard to choose just one brewery to add to the list, but based on logistics, we think you should try to make headway towards Brooklyn Brewery. Your experience here will feel authentic. 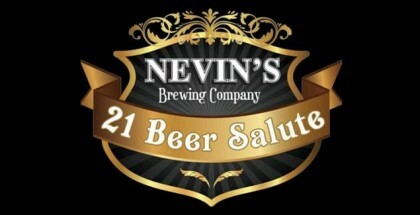 Aside from touring the grounds, there are usually public events taking place including tastings. 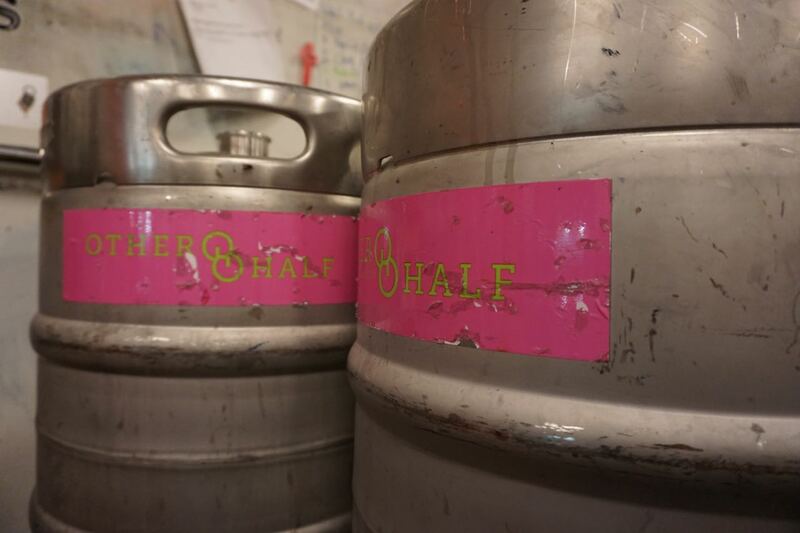 BB also carries some exclusive brews in the taproom, so be sure to fill ‘er up! This rustic, French restaurant is a perfect spot to rest your feet and grab some dinner. The mussels are a top ordering priority. The rest of the menu is a bit slim but the meals are promisingly delicious. Saturday nights often kick-off here with locally-known jazz band Blue Vipers of Brooklyn; if you catch them, be sure to stick around and be entertained! One of Brooklyn’s best up-and-coming breweries is a little hole-in-the wall spot that has already been commanding massive crowds for their specialty releases. Known for their proficiency in hop forward beers, Other Half Brewing has a rotational stream of IPAs, Session IPAs, Pales, and even the occasional farmhouse or wild ale (if you peer carefully into their brewhouse you’ll spy a number of small batch wood barrels as well as an obscured foeder. 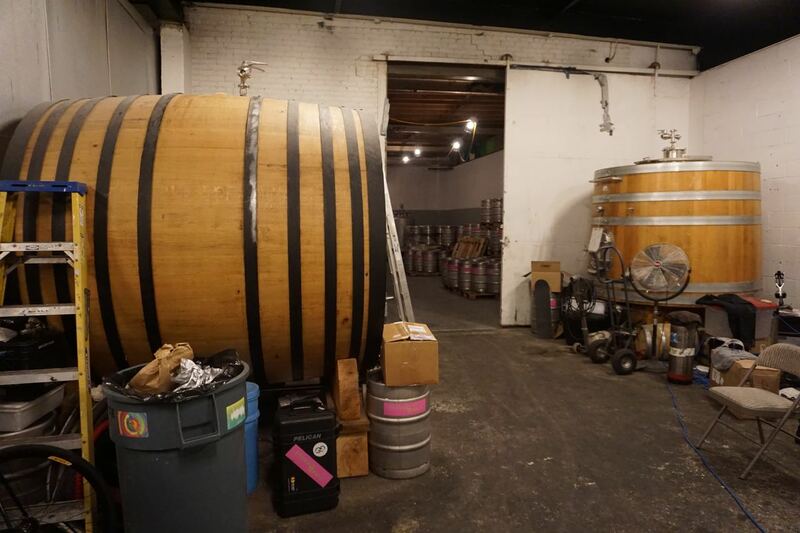 While Other Half Brewing can still just barely be considered a new kid on the block, Threes Brewing in Gowanus is even greener, at just under two years old. 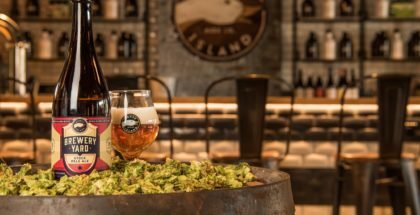 However their relative age doesn’t restrain their capabilities, as they offer a tremendous lineup of predominantly hop forward and farmhouse ales. The ever humble Not Bad Beer is one that holds up to its name, but everything else here is solid up and down. However what’s really starting to make a splash is Threes’ limited release barrel aged offerings. 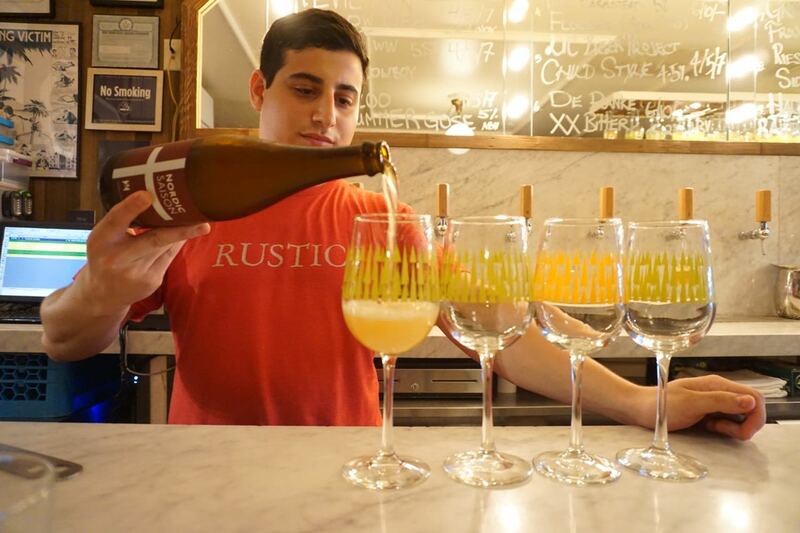 For starters, Tørst has 21 taps. So if you don’t get there early (6pm-ish), you definitely won’t get to try them all. But don’t worry! There is a pretty robust menu of special & cask beer to order on the side. Oh, and did I mention the owners are a dynamic pair named Jeppe Jarnit-Bjergsø (head brewer at Evil Twin) and Daniel Burns (an expert Chef mostly known for Momofuku Lab)?!? Anyone living in NY would agree: this is a MUST on your craft-beer-city-traveling-itinerary. If you’re staying in Manhattan and choose to head back via subway, have some fun in this dimly lit adult arcade that’s fully-loaded with games from our youth and beyond. The craft beer menu is also pretty impressive for a short bar. I’m recommending lunch at La Birreria, if you make a res in advance, for brunch. It’s close to tourist-y, because it’s the rooftop of Eatly, right next to the iconic Flat Iron building. 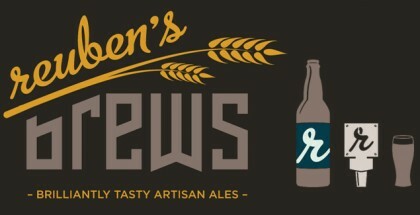 They brew their own cask ale in collaboration with Sam Calagione, the founder of Dogfish Head, so there’s your craft fix! Afterwards, you can peruse the market downstairs, grab gelato or walk the area before heading back home. If you have time, rest up in Madison Square Park a few block south.